UMED Maharashtra State Rural Livelihoods Mission (MSRLM), Beed Recruitment for the Post of the post of Cluster Coordinator, Data Entry Operator, Accountant, Peon etc. Vacancies for total 25 Posts . Online Registration Application form are started now. Candidate Must Read complete notification before Apply. 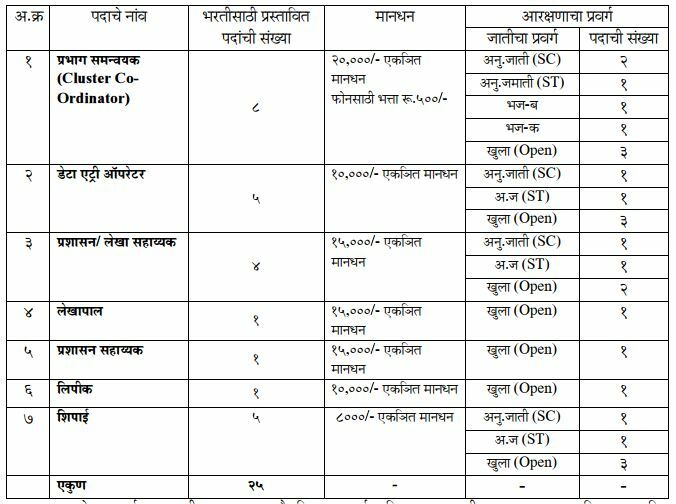 Eligible and Interested candidates end their online applications between 18th March 2017 to 27th March 2017.Details of educational qualification, age limit, Terms & condition etc., are given below in PDF file.